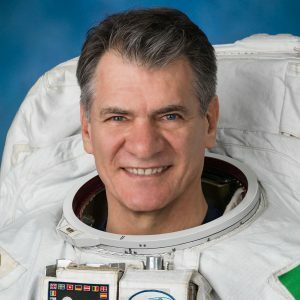 Born in Milan on 6th April 1957, Paolo Nespoli will be the oldest ESA astronaut involved in a long-duration mission, called VITA. This mission is the outcome of the agreement between NASA and ASI on MPLM, Leonardo, Raffaello and Donatello modules supply. He owns a degree in Mechanical Engineering and enjoys scuba diving and photography. In 1991, Paolo joined the ESA European Astronaut Corps, stationed in Cologne, Germany, where he worked as an astronaut training engineer. In July 1998 Nespoli was selected as an astronaut by the Italian Space Agency and, a month later, he relocated to NASA’s Johnson Space Center and was assigned to the 17th NASA astronaut class. In June 2006 he was formally assigned to Space Shuttle mission STS 120 crew: Esperia mission. In November 2008 Paolo was assigned to a second space flight, Expedition 26/27. It was a long-duration mission to the International Space Station, launched on 15th December 2010: MagISStra. He came back to Earth on 24th May 2011, after living in space for 159 days. 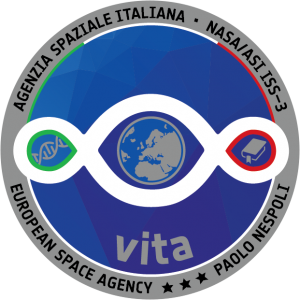 In July 2015 Nespoli was assigned to a third space mission as part of Expedition 52/53 to the ISS: it is VITA, a five-month mission scheduled to launch in May 2017. Vitality, Innovation, Technology and Ability. These are the words making up the acronym VITA, which means life in Italian and characterises the mission of ESA astronaut Paolo Nespoli. VITA is the third long-duration mission for the Italian Space Agency (ASI) and part of Expedition 52/53, destination: the International Space Station that will lift off from Baikonur in Kazakhstan on the Soyuz spacecraft. VITA is a long-duration mission that NASA made available to ASI under an agreement for the delivery of the Space Station logistics modules, Leonardo, Donatello and Raffaello.